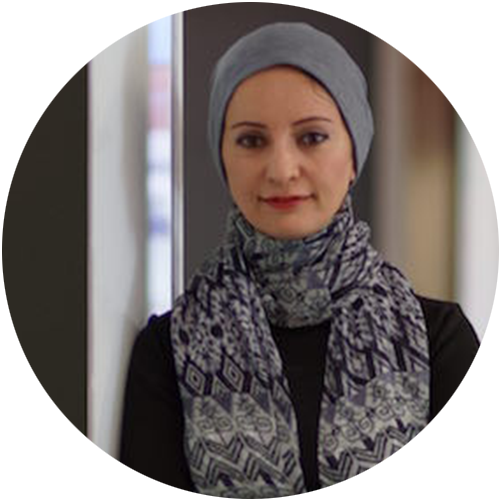 Ghada Almashaqbeh is a Ph.D. candidate in the Cryptography Lab at the Computer Science department at Columbia University. Her research interests include theory and applied cryptography, security, and distributed systems. Ghada works on interdisciplinary projects that combine knowledge from various fields toward the design of secure systems and protocols. Her current projects are related to cryptocurrencies, secure multiparty computation, and basing cryptography on biological assumptions. This includes CacheCash: A cryptocurrency system that provides a distributed content delivery service. This covers a threat modeling framework for cryptocurrencies, a lightweight distributed probabilistic micropayment scheme, and CacheCash, the main system. Her publications include: “Implementing Support for Pointers to Private Data in a General-Purpose Secure Multi-Party Compiler.” ACM Transactions on Privacy and Security (TOPS), 2018. “Secure distributed genome analysis for GWAS and sequence comparison computation.” BMC Medical Informatics and Decision Making, 2015.